Most legacy media organizations made errors of historic proportions in their reporting about allegations that Trump colluded with Russia to win the 2016 election. Outlets such as The New York Times and The Washington Post published article after article—primarily based on anonymous sources—alleging without real evidence that Trump colluded with Russia. We now know, of course, that special counsel Robert Mueller found no evidence of collusion. The Epoch Times was among the few media outlets that never blindly followed the Russia-collusion narrative, but instead stuck to the facts. Yet, instead of the widespread media failure inspiring an honest reflection on the part of the journalists and editors who produced the false Russia-collusion allegation stories—some of whom received Pulitzer Prizes for it—we see the same thing happening again. Well, did the plot just thicken? 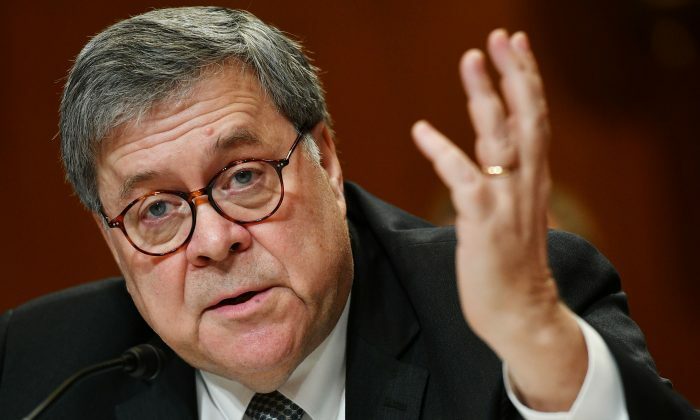 Prior to the publication of the New York Times and Washington Post articles, Barr already stated he would release a redacted copy of the Mueller report by mid-April. To think that the attorney general would mischaracterize the key findings of such a sensitive investigation, when he knows he will make the report public, is just too far of a stretch for the imagination. “He’s being as forthcoming as he can, and so this notion that he’s trying to mislead people, I think is just completely bizarre,” Rosenstein told The Wall Street Journal in an April 11 article. Notably, it was Rosenstein who appointed Mueller as special counsel in May 2017, and who has overseen the probe. “What he said is, ‘Look, it’s going to take a while to process the report. In the meantime, people really want to know what’s in it. I’m going to give you the top-line conclusions.’ That’s all he was trying to do,” he said. What are these legacy media outlets going to do when the release of the Mueller report proves them wrong, again? At The Epoch Times, we believe that reporting should be factual and that it is our job to report the truth to the best of our ability. We believe that this is what it means to be a responsible publication that truly serves the public interest. This is a mission we’ve stayed true to over the years, and we will continue to do so.